For workplaces with designated first aid rooms, or areas where the risk of injury is particularly high, it may be best to keep first aid items in a dedicated storage facility. 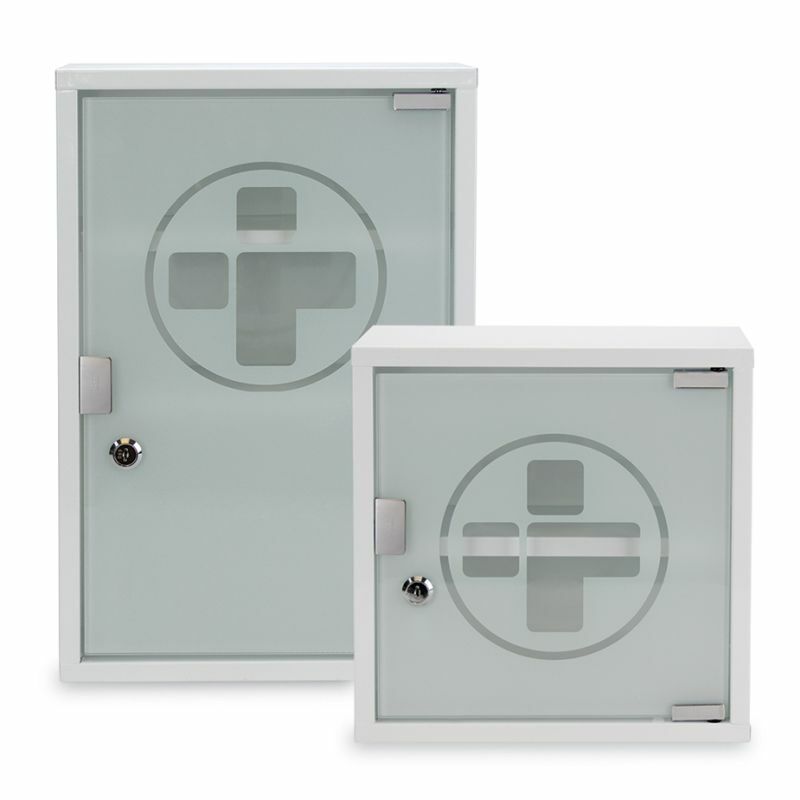 The Metal First Aid Wall Cabinet with Glass Door is an ideal central storage case to provide employers and staff peace of mind. This cabinet with fixed shelves provides safe and secure storage for medical supplies and equipment, allowing practitioners, nurses, first aiders and responders to quickly see and identify products that may be needed in an emergency. 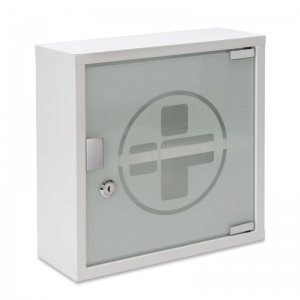 Constructed from white powder coated metal with a stone enamelled finish, this strong metal cabinet will provide an extra measure of protection for your emergency supplies. 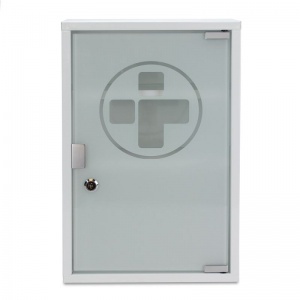 The toughened and durable glass door enables you to keep an eye on your provisions at a quick glance. The quick-release push button on the cabinet door allows for quick access to your materials during an emergency, and has keys available so that you can keep the contents locked up and secure. The Metal First Aid Wall Cabinet with Glass Door is usually dispatched via First Class Royal Mail and delivery should be within 1 to 3 working days.